Week #29 of the Gourmet's 50 Women Food Changers is Betty Fussell. Mary from A Perfect Bite has organized a group of bloggers that choose a dish from the Game Changer of that week. I have learned a lot about some very talented foodies...The one thing they all share is their love for food and everything that food encompasses. The ingredients for the dressing: Fresh lemon juice, walnut oil and salt and pepper. These are so good and the recipe says to serve them at room temperature. These will be on my next menu for a picnic on the beach. I'm already planning...cold salmon, a quinoa salad and these green beans. 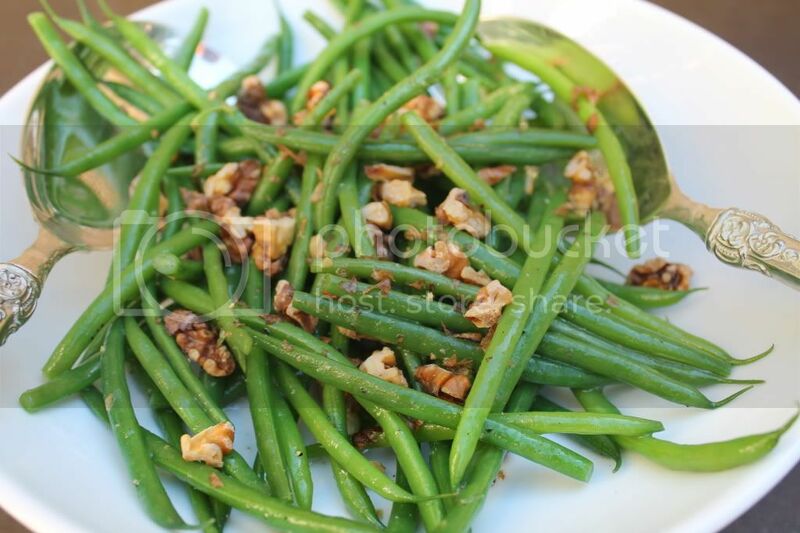 For the complete recipe of Green Beans with Walnuts, go here. 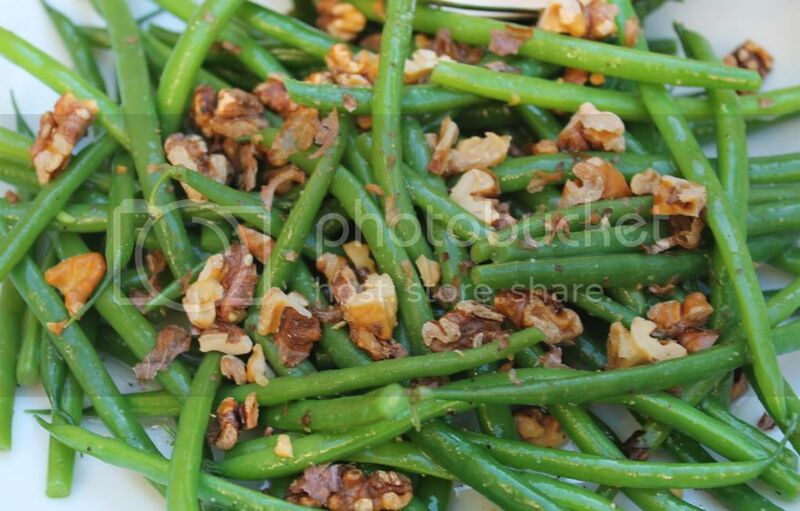 I LOVE green beans and walnuts and think this sounds awesome! My mom sent me some orange-infused oil and she said it's great on green beans. I'll bet that would work with this recipe too. Delicious looking salad! I love fresh veggies, and green beans are one of my favorites! The simplicity of this salad is what makes it so lovely! Love that photo of Betty, it's so raw and liberating. These would be great topped on quinoa or tossed up with some ravioli. 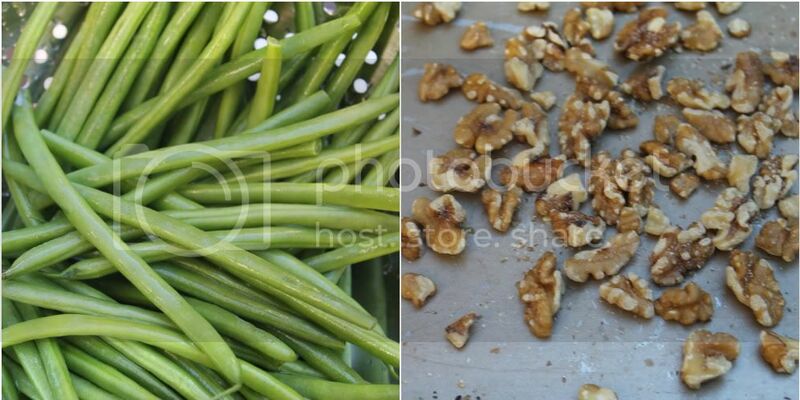 Beautiful photos of this nice light green bean dish by Betty Fussell! I vote beach picnic menus becomes a new series on Lovely Things! I am keeping a folder bookmarked. My Crate and Barrell table in a bag came yesterday;) love it. PS I could use some kid friendly menus for beach ? Thanks for sharing. I agree Jeanette and Jacquiline ... so nice and light and YES! great atop a quinoa base! Your photos are so ric and vibrant that these beans look all the more appetizing! Great post, Annie! I agree with Lizzie! Now I'm ready for a beach picnic. 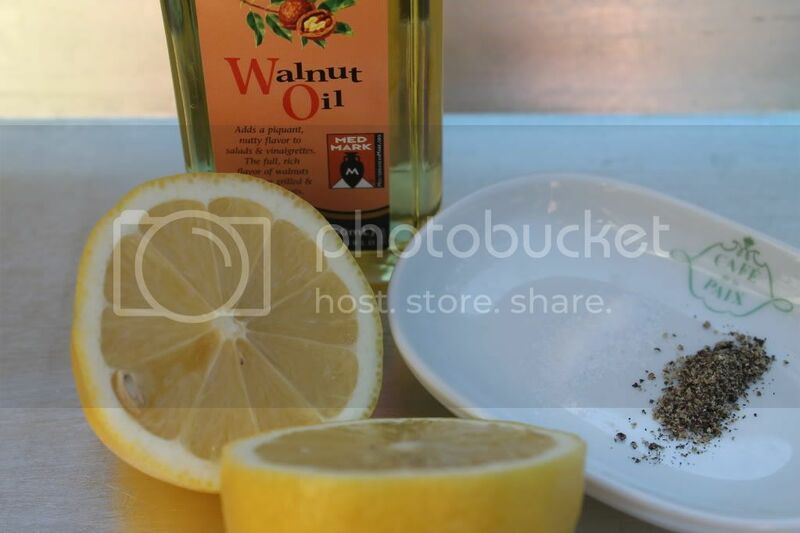 This looks wonderful, the walnut oil and lemon must make a fabulous dressing. Sorry I missed Betty, the dim January light here in NH didn't cooperate with me and my camera. Wish I could taste your salad! These look delicious...anything with walnuts added and I'm in!! Happy to find and follow your blog ! What a great salad! One common element I'm seeing in many of Betty's recipes is citrus. It does zip up food. This looks wonderful. Have never tried walnut oil before and am curious now. Adding it to the grocery list.